The assistants are at the heart of our program. They are an essential part of the everyday lives or our core members. The strength in L’Arche Boston North is our strong community, and assistants join that community by sharing day-to-day life with our core members while enriching their daily tasks and routines through support and friendship. The assistants create the loving community in which our core members thrive and grow. Assisting our community is not limited to the tasks above – there is a shared leadership model. To be qualified to assist within our community we ask that you are at least 18 years old with a valid driver’s license. While you do not need experience working with someone with a disability you do need an open heart and the desire to work as part of a team. To be considered for an assistant’s role please fill out the form below. Someone from our office will get back to you shortly! Are you able to provide proof of your age if conditionally offered a position with L'Arche. List previous addresses within the United States, except Military, if address has changed during the past 5 years. What kind of positions are you interested in? Consistent attendance and punctuality are essential requirements of every job with this Company. Is there anything that would interfere with your regular attendance and punctuality if you were offered a job with L’Arche Boston North? How did you first hear about L'Arche? Have you lived in or volunteered in a L'Arche community before? If yes, which communities and in what capacity were you involved? Have you applied to any other L'Arche community? 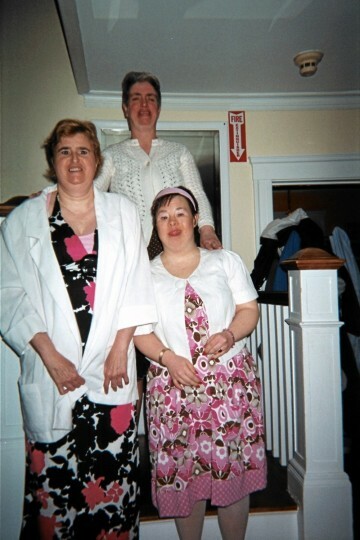 L'Arche Boston North requires criminal background check(s) as part of the hiring process. Please note that no offer is final until a criminal background check has been completed. Prior to a final offer from L'Arche Boston North, you will be required to disclose information regarding your criminal record and/or to authorize L'Arche Boston North to review your criminal record to the extent authorized by the law of The Commonwealth of Massachusetts. Ability to drive is a requirement of L'Arche Boston North. Do you have a current, valid United States driver's license? Email your resume to office@larchebostonnorth.org or fill out form below. List any volunteer experiences that have prepared you for work with L'Arche Boston North, including organization, type of work, and length of time volunteering. Please note: You may include any verified work performed on a volunteer basis. In addition to your resume (if you have one), we ask that you list your four most recent employers including self-employment, summer, and part-time jobs, and verifiable volunteer work. Education Background: Please specify names of schools, colleges etc., your degree or certification type, and dates attended. Have you completed any special courses, seminars, or training that would make you uniquely qualified to perform the duties of the position for which you are applying? Please list certificates; courses; workshops; etc. relating to the work for which you are applying. The following questions are voluntary. Your responses will give us a deeper sense of who you are and your interest in L'Arche Boston North. If you choose to respond, please answer each question in one-two paragraphs. Why are you interested in serving/working in L'Arche Boston North? In regards to living/working in a L'Arche community, which includes adults with intellectual developmental disabilities: What would you offer such a community (e.g. skills, experience, attitudes)? How might you benefit from living/working in such a community? Questions regarding this statement should be directed to the employment interviewer before signing. The application will be given every consideration, but its receipt does not imply that the applicant will be employed. I authorize the investigation of all statements and information contained in this application. I release from all liability anyone supplying such information and I also release the employer from all liability that may result from making an investigation. If hired, I agree to abide by all of the organization rules and regulations. I understand that if employed, my employment may be terminated with or without cause and with or without notice at any time at the option of either the organization or me. I further understand that no representation, whether or oral or written, by any representative of agent of the organization, at any time, can constitute a contract of employment unless such contract is in writing. I understand that the organization shall have the maximum discretion permitted by law to administer, interpret, modify, discontinue, enhance or otherwise change all policies, procedures, benefits, or other terms or conditions of employment. I acknowledge that I have read and understand the above statements and hereby grant permission to confirm the information supplied by me on this application and in any accompanying documents. Without limiting in any way the at-will status of my employment if I am hired, I understand that if any of the statements on this application and its accompanying documents are untrue, I may be immediately discharged. I CERTIFY THAT ALL ANSWERS GIVEN BY ME ARE TRUE, ACCURATE, AND COMPLETE. I UNDERSTAND THAT THE FALSIFICATION, MISREPRESENTATION, OR OMISSION OF FACT ON THIS APPLICATION (OR ANY OTHER ACCOMPANYING OR REQUIRED DOCUMENTS) WILL BE CAUSE FOR DENIAL OF EMPLOYMENT OR IMMEDIATE TERMINATION OF EMPLOYMENT, REGARDLESS OF WHEN OR HOW DISCOVERED.